“Most people born in August are familiar with peridot, as it is the August birthstone. But did you know that peridot is has something in common with diamonds that most other gemstones do not? 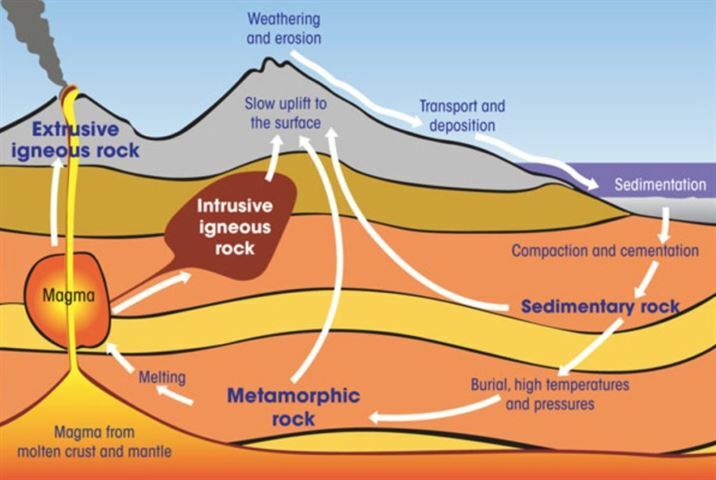 Most gems are formed in the earth’s crust during the Pegmatite (1292-752 degrees F), Pneumatolytic (932-572 degrees F), or Hydrothermal (752-122 degrees F) phase of the igneous rock cycle while diamonds and peridot are actually formed in the mantle (2732 -1112 degrees F), much further beneath the earth’s surface, during the Liquid Magmatic phase of the rock cycle. Peridots (and diamonds) are brought to the surface by tectonic or volcanic activity. Peridot, which is a gem quality type of Olivine, is orthorhombic, meaning it has three unequal axes at right angles. Its formula is (Mg, Fe)2SiO4, containing fayalite and forsterite along with hints of magnesium and iron, which give the stone it’s bright light green hue. While Olivine is not scarce, gem quality peridot, especially in larger sizes is considered precious and rare. People have been using peridot in jewelry for thousands of years. In fact, some scholars have surmised that Cleopatra’s famous emeralds were more likely peridots. according to GIA,”People in medieval times continued to confuse peridot with emerald. 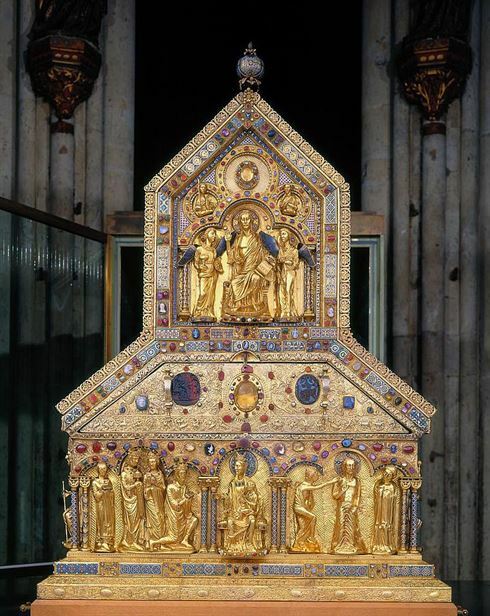 For centuries, people believed the fabulous 200-ct. gems adorning the shrine of the Three Holy Kings in Germany’s Cologne Cathedral were emeralds. They are, in fact, peridots. The Oxford English Dictionary suggests an alteration of Anglo–Norman pedoretés (classical Latin pæderot-), a kind of opal, rather than the Arabic word faridat, meaning “gem“.